I am a realist, and I understand that people will say things that can harm and humiliate at times, but after processing my grandmother’s snarky words, I thought to myself I am adult and if her snarky comments had me hugging my pillow at night, imagine how children must feel when people say unkind things to them. In this blog post, I will remind us of the power of spoken words. Imagine you’re a trainer at the gym and your training a group of 3 beginners. This trainer gives all three participants a task; they are to run around the track three times. Two of the participants completes the repetitions with ease, while the third participant struggled to complete one lap. The trainer encourages the third member of the group, “Come on you can do it” the trainer shouts. It’s obvious why the third member of the group is struggling, and he is sweating, bent over and breathing so hard to the point that he is hyperventilating. Instead of running, the gentleman grabs a drink of water at the fountain and tries to catch his breath. After recovering he gets to the track and starts a little jog. The trainer makes a mental note and modifies the third person’s work -out regiment. Now, imagine if the trainer kept pushing the participant beyond his limits? What happens when we utter words that push people and children beyond their limits. Relating to my story of the trainer, some children are more resilient with dealing with insults that occur at school and home. But what about the children who internalize negative comments? In the story, the trainer could physically see that the participant was struggling. 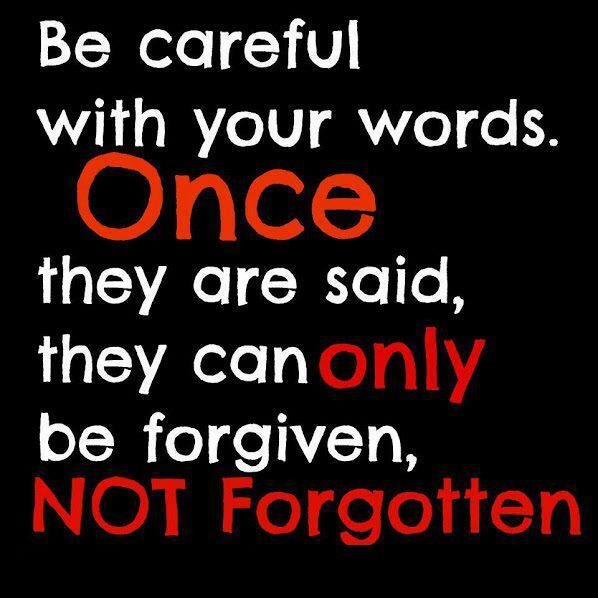 In many cases, you don’t readily see the consequences of unkind words or bullying. It is critical for us to discipline ourselves to communicate in ways that convey respect, gentleness, and humility. On Christmas I smiled and laughed off my old granny’s fat jokes; she is unaware of her words cutting into my insecurity about my weight. However, I mature enough to try to work on myself and process my emotions, but I know for children and adults processing unkind words take time and can be devastating leaving emotional scars.